Leave the crowds behind and immerse in the beauty of a majestic outlet glacier while on a kayak. 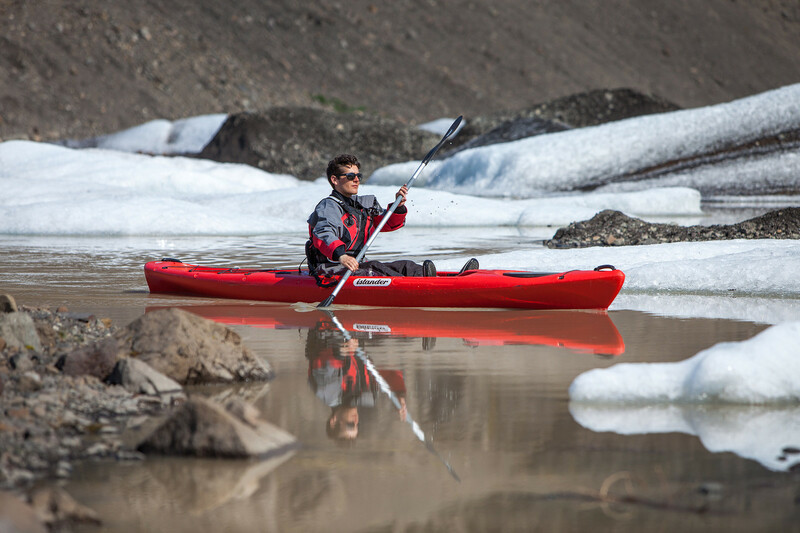 The tour starts with meeting your expert kayaking guide in the Sólheimjökull glacier parking lot. You will be equipped with a dry suit and shown the basic technique needed to maneuver the kayak. The sit-on-top kayaks that we use are easy to steer and no previous kayaking experience is needed. As you push away from the shore, you will enter a world of iceberg filled lagoon. The spellbinding glacial landscape and calm waters will make you feel like you have been transported into another world. Your guide will lead you around the glacier and in between icebergs to admire these natural wonders from a perspective that can only be seen while on the water. After a few hours of gliding along the still surface of the lagoon, you’ll head back to shore with a lifetime of memories. How are the guests divided between kayaks?